Congrats to Captain Canuck for winning the ’09 Fusion Contest. Once Captain Canuck sends me their mailing address I will ship out the cards ASAP. Thanks to everyone that entered. Be sure to check back for future contests. The name “Fusion” sounds like a new hip drink you’ed expect to see on the grocery store shelf. But in this case its Press Pass’s most recent multi-sport product. I have to be honest. When I heard Press Pass was planning to create their first multi-sport set I became a little worried. 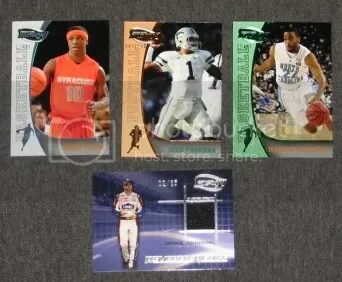 Technically the last multi-sport product I opened was UD Superstars and that didn’t turn out so well. After busting my box, I think Press Pass did a good job at combining baseball, basketball, football, wrestling/MMA, racing, and the Olympics all into one product. Check out what I pulled! 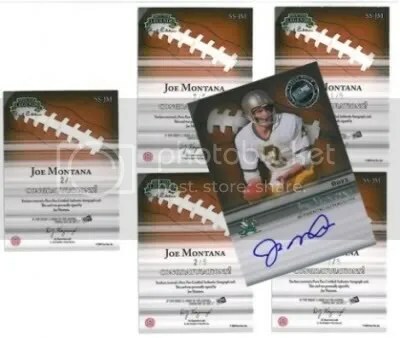 The 90-card base set slightly resembles the popular Legends Football Press Pass usually releases during the summer. Thats a good thing because I really like that look. 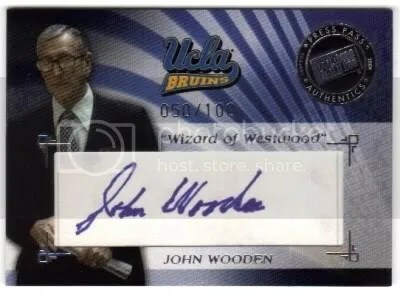 One thing I did notice was that the serial numbers on some cards were difficult to see because they blended in with the background. Press Pass also did a good job with the photos they picked. There aren’t too many cards featuring players like Fred Lynn and Paul Molitor in their college uniforms. 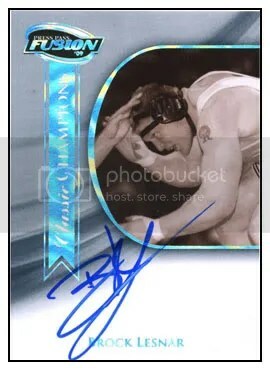 Some of the parallels contain a little rainbow foil technology that I really like. Hobby boxes can be found for around $60.00 depending on where you shop. When I first saw boxes of Fusion, I thought (3) boxes would make up a full box kinda like their Legends products do. Instead this time its the opposite. What looks like a mini box actually is the whole hobby box. I don’t think $60.00 is that bad of a price because you’ed normally spend around $45.00 for a Legends mini box and Fusion comes with (2) more packs. The Couture autograph and Johnson Firesuit are two decent hits. Many collectors seem interested in the serial numbered parallels as well. One of the coolest hits you can find are the John Elway baseball autographs. You just don’t see many of those. It wouldn’t be a Press Pass product without ink variations and nicknames either. This product is loaded with those. Overall I give this product 3.5 basketballs out of 5 (1=poor & 5=perfect). Being their first attempt at a multi-sport product they did a good job. It was much better than the last multi-sport product I opened. Other than some of the serial numbers being difficult to read, its a pretty decent product for $60.00. UPS dropped of a package from Press Pass today which contained a box of their knew ’09 Fusion. I’ll be breaking it soon to review. 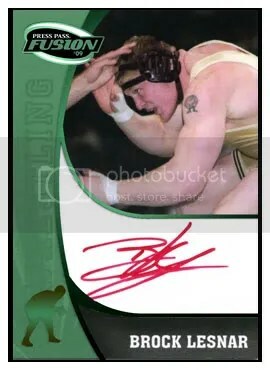 In the mean time, those collectors who sent in their redemption cards for Brock Lesnar autographs from Fusion should be receiving them soon according to Press Pass.